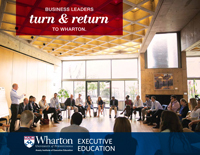 Yoram (Jerry) Wind joined the Wharton faculty in 1967, after receiving his doctorate from Stanford University. 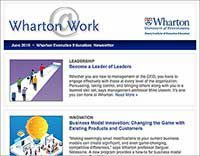 He was the founding director of Wharton’s SEI Center for Advanced Studies in Management, the founder and academic director of the Wharton Fellows program and the initiator and founding editor of Wharton School Publishing, a joint venture of Wharton and Pearson/Financial Times. Professor Wind is internationally known for pioneering research on organizational buying behavior, market segmentation, conjoint analysis, and marketing strategy. He has consulted and conducted research for more than 100 companies. Professor Wind is one of the most cited authors in marketing. He is a regular contributor to the professional marketing literature, with 22 books and more than 250 research papers, articles and monographs on marketing strategy, marketing research, new product and market development, consumer and industrial buying behavior and international marketing.